We have your favorite versions of Jack Sparrow, Pirates of the Caribbean Costumes. This Johnny Depp Costume is only one Pirates of the Caribbean Movie Characters we can help you create. What other Johnny Depp Characters do you like? We have them all. 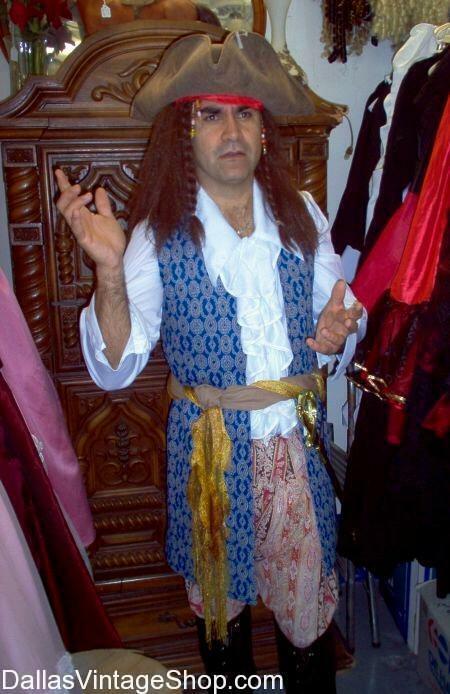 We have Complete Jack Sparrow or other Johnny Depp Costumes in stock. You just have to come in and get the complete costumes or just the pieces you need like the Jack Sparrow Wig, Head Scarf and Tricorn or the Makeup you need. We have everything you can imagine in stock. We have everything you need to help you assemble your own Pirates of the Caribbean, Jack Sparrow, Johnny Depp Costume. 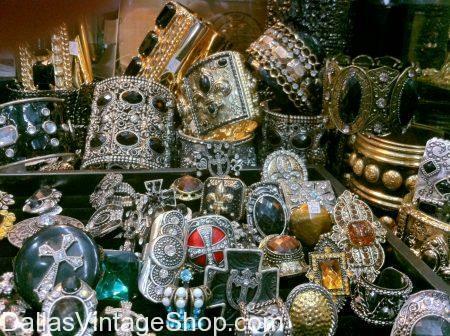 Get any of the Pirates of the Caribbean Character Costume pieces form Dallas Vintage Shop. We have a huge variety of pirate wigs, pirate hats, pirate wig & hat combinations and other accessories that are perfect for Pirates of the Caribbean outfits. We have complete costume outfits or just pieces you need. Our pirate shirts and vests are amazing and some of them are economy priced, We have economy and supreme quality swords, flintlock pirate pistols, sword belts, baldrics and belt pouches or booty bags. You will be amazed at the variety and the unique nature of so many of our Pirates of the Caribbean garb, costumes and accessories. Spend the day and create your own Pirates of the Caribbean costume masterpiece. 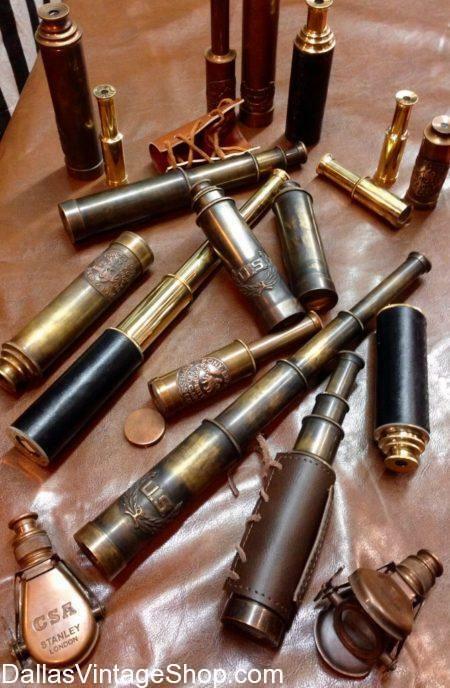 We keep our shop well stocked with a huge, diverse selection of Pirate Weapons, Fancy Ornate Pirate Swords, Stiletto knives, Flintlock Pirate Pistols, Blunderbusses, Pirate Cutlass Swords, Pistols for Lady Pirates, Pirate Booty and Pirate Gear, Pirate Accessories, Pirate Weapons, Pirate Replica Pistols, Ornate Pirate Flintlocks, Quality Pirate Jewelry, Pirate Small Boot Pistols, Quality Pirate Economy Weapons, Pirate Costume Weapons, Pirate Cutlass Swords, Collectable Pirate Weapons, Pirate Decorative Swords, Pirate Metal Swords and amazing Pirate Accessories you will not find anywhere else. Our Collection is enormous and thorough. 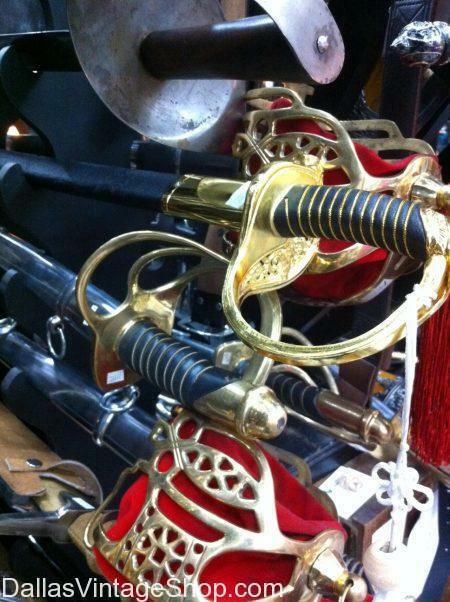 Get all the Pirate Weapons & Gear for any Historical, Movie or TV Series Pirate Characters. You are in Pirates of The Caribbean category.